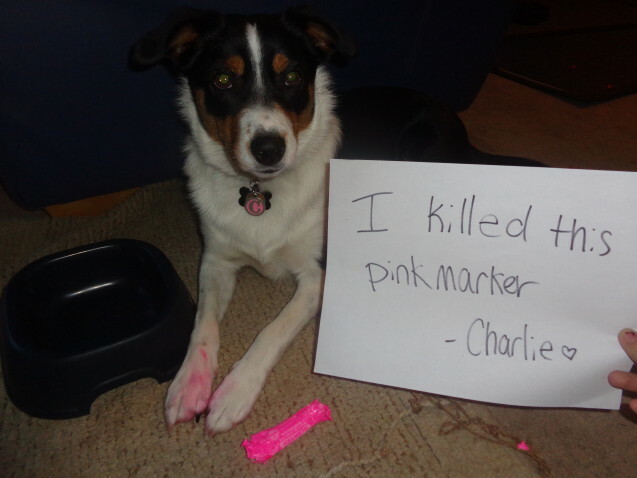 Came home to find Charlie’s white paws bright pink because she had eaten and demolished a Mr. Sketch marker. Posted June 3rd, 2017 .